We’ve compiled this list of Pharmacogenomic companies, researchers, and services to provide our readers with access to information and services they may need. This is by no means a comprehensive list of pharmacogenomic companies and if you feel you have a company or business that you would like us to add to this list please contact us by email or any of the social media links on the website. Dynamic DNA Laboratories is a CLIA-Certified & CAP accredited genetic testing lab located in Missouri. Dynamic DNA Laboratories provides a wide spectrum of genetic testing services and capabilities including: Pharmacogenomic testing, Drug discovery, DNA expression, and additionally provides a number of personalized genetic & DNA testing services. Dynamic DNA Laboratories is a full service molecular laboratory specializing in both clinical and direct-to-consumer genetic testing. The highly trained staff has experience in genetic research, as well forensic testing & crime labs. 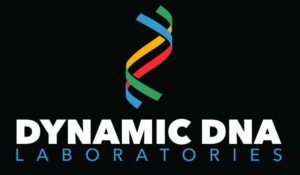 The scientific team behind Dynamic DNA Laboratories has over 20 years experience and members have published groundbreaking and relevant works to a number of scientific journals. Dynamic DNA labs also offers personal genetics testing in the following areas: Ancestry Genetic Testing, DNA Fitness Panels, Paternity Testing, and additional DNA testing services. Learn more about the company and their genetic testing services and research utilizing the contact info & links below. HudsonAlpha Institute for Biotechnology is a nonprofit institute dedicated to innovating in the field of genomic technology and sciences across a spectrum of biological challenges. Founded in 2008, its mission is four-fold: sparking scientific discoveries that can impact human health and well-being; bringing genomic medicine into clinical care; fostering life sciences entrepreneurship and business growth; and encouraging the creation of a genomics-literate workforce and society. The HudsonAlpha biotechnology campus consists of 152 acres nestled within Cummings Research Park, the nation’s second largest research park. Designed to be a hothouse of biotech economic development, HudsonAlpha’s state-of-the-art facilities co-locate nonprofit scientific researchers with entrepreneurs and educators. The relationships formed on the HudsonAlpha campus encourage collaborations that produce advances in medicine and agriculture. Under the leadership of Dr. Richard M. Myers, a key collaborator on the Human Genome Project, HudsonAlpha has become a national and international leader in genetics and genomics research and biotech education, and includes more than 30 diverse biotech companies on campus. Myriad a leading pharmacogenomics company, through pioneering research and the development of innovative molecular diagnostic tests dedicates its resources to the enhancement of personalized medicine. Myriad has devoted over $1 billion to expansion of the international scientific understanding of diseases through research. That research has been formed into molecular data that has proven to save and improve the quality of life for their clientele. Myriad’s research has proven, time and time again, that their data anylisis can identify a persons chances of responding to a certain treatment plan -specifically drug therapy- and tailor their recovery program to ensure an effective treatment and quick recovery time. This data also shows the doctors the likeliehood of developing other disease or health risks in the future. Today – and everyday – we reaffirm our commitment to serving as both a trusted advisor to patients and healthcare professionals and a collaborator with the scientific community. Transgenomic is an international biotech company that specializes in the advancements of personalized medicine in cardiology, oncology, and other diseases through its molecular technology and world renowned laborites. Transgenomic is an international leader in pharmacogenetic testing with a plethora of innovative products developed to detect specific mutations in certain gene structures that are indicative to certain cardiac disorders. Transgenomic has three complementary business divisions: Transgenomic Clinical Laboratories, Transgenomic Pharmacogenomic Services, Transgenomic Diagnostic Tools, Transgenomic believes there is significant opportunity for continued growth in personalized medicine and continues to strive to be the leader in Pharmacogenetic testing. The new 23andMe is a personalized genetic testing company that provides ancestry-related genetic details. They give raw, uninterpreted genetic data through an in-home, Direct to Consumer saliva test. Once a customer, 23andMe helps educate consumers on their results. This allows them to gain a better understanding of diseases, or hereditary disorders that they, or their children may be susceptible to. They believe that your DNA composition is information that you should know and have tested so that you can prepare for the future. They also believe that it would behove the world if you shared that information so that the scientists of the world could potentially eradicate or overcome some of the worlds new/future diseases. A privately-held global precision medicine diagnostic company that has developed megawatt bases that link directly to a mobile application that gives physicians and patients alike the ability to take control of their health and wellness and be proactive in treating diseases realtime. They offer genetic testing that will get uploaded to the data base and cross referenced with the other individuals that participate so that we can get the right solution, right now. They work in direct partnership with physicians and do not do DTC. They own and operate a lab that is accredited by the CAP and CLIA. Founded over 40 years ago by Robert A. Swanson and Herbert Boyer Genetech has been delivering innovations to biotechnology and genetic testing since the beginning. Genetech creates, builds, and markets testing to help patients right now. Genetech strives to offer solutions to patients right now, while developing tests and solutions for the future simultaneously. The goal is to change patient’s lives through their courageous decision making and action. Each day, employees and Genetech come to work because they, “We commit ourselves to scientific rigor, unassailable ethics, and access to medical innovations for all. We do this today to build a better tomorrow.” Genetic has shown through its tenure that is is committed to the betterment of human life and isn’t going anywhere. GeneDx was founded by two scientists from the National Institutes of Health, Dr. Sherri Bale and Dr. John Compton. Their mission is to make genetic testing readily available to those families that are affected by rare genetic conditions that can cause hereditary disorders. Their testing utilizes DNA sequencing to test for over 200 Mendelian disorders. GeneDx is also an innovator for genetic testing for autism and other chromosomal anomalies. One of the most beneficial tests, is the genetic test GeneDx created for cardiomyopathy. GeneDx does not provide direct to consumer (DTC) testing and all testing must be ordered through a patients primary health care physician. If you’d like to see your company listed here or think that are additional companies that we can list on this page, be sure to use our contact form and reach out to us. We look forward to hearing from you.